Half Hardy Annual Flowers For The Cutting Garden. The main point you have to take on board with regard half hardy annuals is that they are generally native to areas that are closer to the equator…they are not big on frost and often the slightest touch of it will send them to their maker. This of course is easy to avoid…either sow them after the frosts or start them indoors and plant them out after the frosts have trotted back off up north. 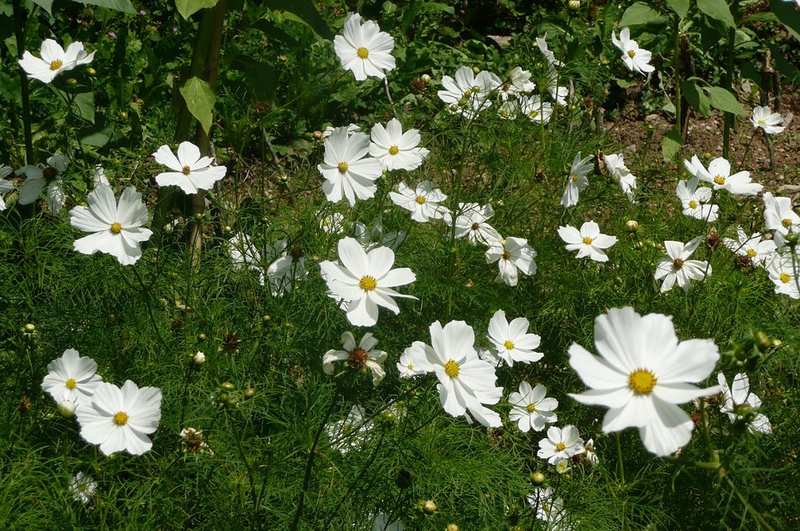 Cosmos are workhorses in your flower patch….don’t be without some. This one is ‘Purity’. I prefer to sow my half hardy annuals in pots…three inch square pots are best…it’s harder for slugs to hide in square pots butted up together… I sow the vast majority at the beginning of April…and get them all done and dusted before I move on to sowing hardy annuals outside in the middle of April. A greenhouse is preferable to a windowsill but you can manage with the later. Mid May will usually see the last of the frosts in the Midlands…earlier in Cornwall…later in Scotland. Seeds sown in early April will be big enough by mid May to be planted out….but you must get them acclimatised to the perils of the outdoors…well….the cold….they will have been mollycoddled indoors…planting them straight out will freak them out and they will become stunted….this will make you look unprofessional and you could become the laughing stock of the village. Avoid this by leaving the plants outside during the day and bringing them in at night….do this for ten days and your plantlets will be well trained for planting day. As a rule of thumb I space my half hardy annuals to about a foot apart…perhaps a little less if space is limited. 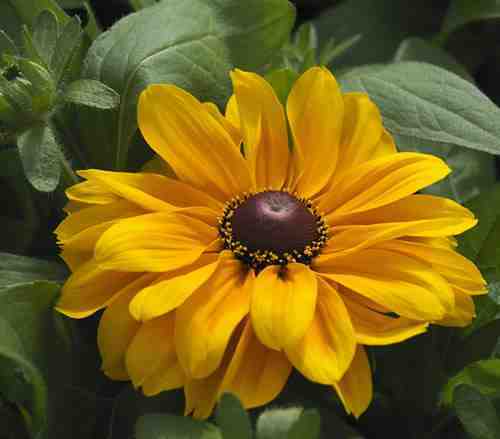 Rudbeckia never fail to be happy surf dudes…they generally arrive quite late in the season….they are easy to get started and will happily do their thing with little maintenance. For cutting I use Marmalade, Irish Eyes and Goldilocks. 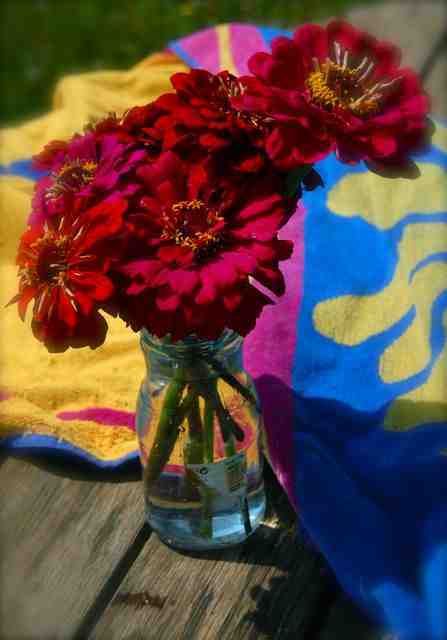 Zinnia are becoming fashionable again….they used to be all the rage in the 50’s…I’m glad folk are growing them once more….they are ‘quirky chic’…Sowing direct into the soil gives good results…but don’t sow before you are SURE the frosts have finished. 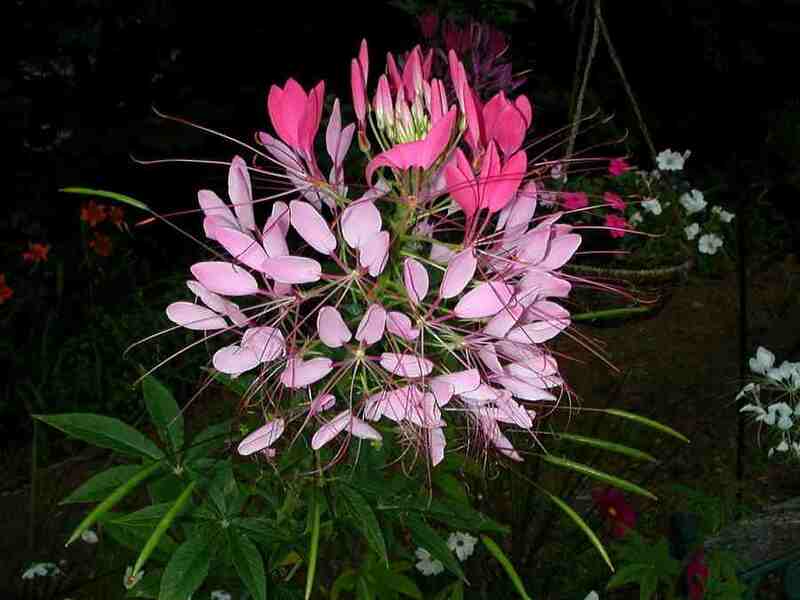 Cleome seeds must be sown on the surface…they need light to germinate…make sure you keep them moist whilst they do this….putting the seed tray in a clear poly bag. will help. Other great half hardy annuals are Bells of Ireland, Amaranthus and Nicotiana. Hope you’re all having a capital weekend! 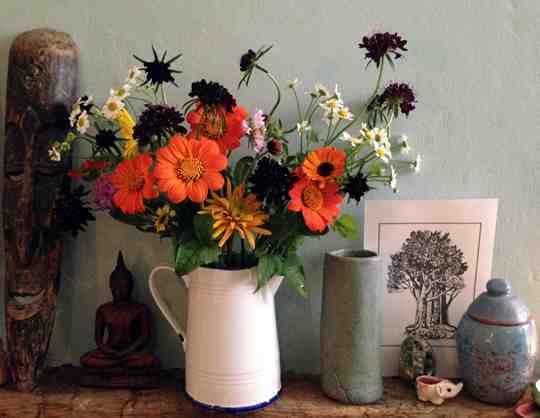 Hardy Annual Flowers For Your Cutting Garden. Perennial Flowers For Your Cutting Patch. I don’t know who you really are, but reading your comments is like picking up a Bertie Wooster story, I have been laughing outrageously. I particularly enjoyed your description of cosmos likening it to “Posh totty” WONDERFUL! D’yu know, I’ll probably buy some seeds, although I don’t need them.